More famous than an Ant. 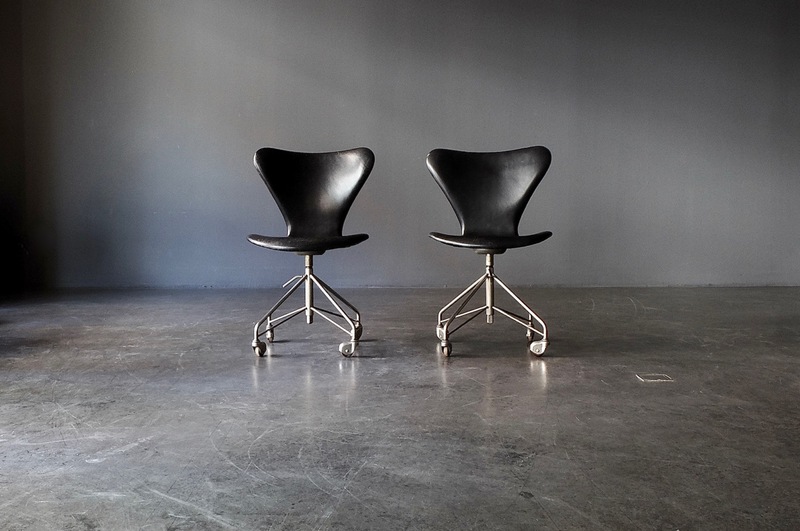 When talking about chairs, design fans often rave about the famous „Ant“ by Arne Jacobsen. In 1952 Soren Hansen, the director of Fritz Hansen, wanted to produce the Ant only with a minimum quantity of 300 pieces, but Arne Jacobsen’s client had only ordered 200. So Arne Jacobsen promised without further ado that if the remaining 100 chairs were not sold, he would take them himself. This did not happen – and the „Ant“ went on to become a much loved design classic. When Arne Jacobsen 3 years later came up with the Series 7 chair, Soren Hansen quickly realized that this chair could be even more successful, because of its versatility: as an office chair, with wheels, for schools and colleges, conference halls, for domestic spaces, later as a bar stool and even for churches, with a small additional bookshelf. Series 7 is still produced by Fritz Hansen today as their bestselling product ever and is one of the most famous design classics in the world.